Affable and happy-go-lucky melded with steely determination and a deep commitment. A Golden Gloves boxing champ and a state champion wrestler with a jiu-jitsu blue belt. All of this cross-bred with an unpretentious strut. Like Kris Kristofferson wrote, a walking contradiction, partly truth and partly fiction. By the end of 2016, it was impossible to categorize Luis Pena. He couldn't be boxed in. You'd be better off trying to corral a gazelle in a playpen. He was the only fighter in the 2016 STL MMA Awards to garner nominations and votes as Amateur of the Year, Regional Pro of the Year, and Knockout of the Year. To do his campaign justice, three-year-long dust was blown off the award for Breakout Fighter of the Year. Before rehashing what the 23-year-old's 2016 looked like from afar, you need to dial it back to his home turf of Arkansas. Shawn Hickey is the wrestling coach at Little Rock Central where Pena's grappling pedigree is often brushed over. Pena wrestled for Hickey as a sophomore before he moved to Florida, where as a junior, he placed third in the state championships at 152-pounds. Back at Little Rock Central as a senior, Pena teamed with Tyler Mann to give the school what was an unmatchable one-two punch. Mann was a four-time state champion at 152 and went on to wrestle at Oklahoma State. Pena won the Arkansas title their senior year at a cut-free 160. After bouncing around and dabbling in college-level wrestling, Pena got into fighting, first at Westside MMA. Pena made a passionate case to Hickey - who pleaded that he stay with the with college route - both with his words and actions. Hickey was on the wrestling team with Mike Rogers at both Missouri State and SIU-Edwardsville. Hickey called up Rogers, the head coach and owner of St. Charles MMA, and asked if he would be willing to let Pena train there for a month. Pena's breezy attitude paired with his unbridled commitment to improving in every aspect of the craft quickly won him over with Rogers and the team. Within his first week at the gym, Rogers told Pena to forget Arkansas, he was staying. Rogers was Woodley's high school wrestling coach and MMA coach for the early part of the UFC welterweight champion's MMA career. He was also behind Lance Benoist, Josh Sampo, and Alp Ozkilic reaching the UFC, Matt Ricehouse having success in Strikeforce, numerous regional standouts like Zach Freeman and Jake Roberts and on. Predictably, Pena has found his own beat to march to and has carved out his own lane when it comes to skill set and avenue to success. Both spoke glowingly about Pena's motor. In fights, the center is taken and his jab continuously pumped, angles worked. If the fight hits the floor, he's a serpentine of arms and legs. 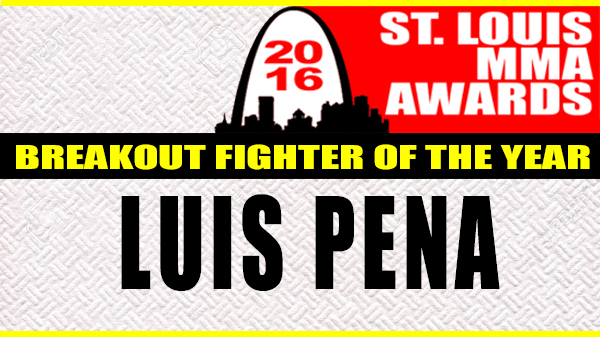 Pena began 2016 by winning his division at the St. Louis Golden Gloves and was named the tournament's most outstanding athlete. He started his MMA run in March with an electric performance against James Cowan for the Fight Hard amateur lightweight championship. Pena got in and got it done quick, putting his opponent completely out with a wicked triangle choke only a minute into to the first round. 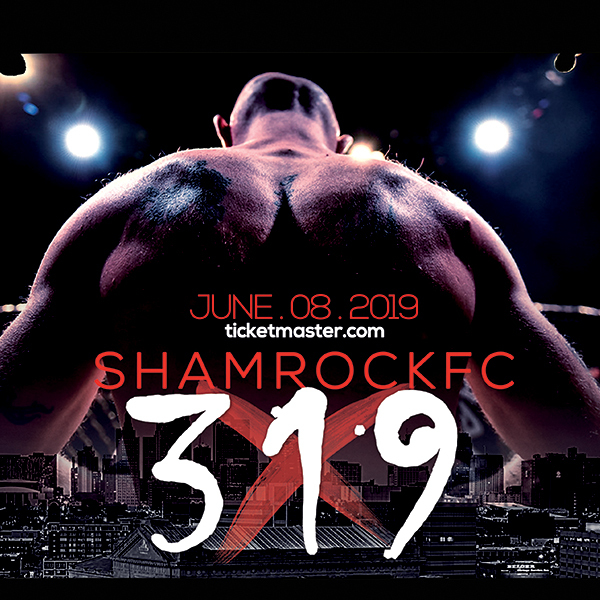 He came back quickly in April, taking an extremely, short-notice and 20-pound weight cut, fight and grabbed his second major St. Louis amateur title, this time at Shamrock FC: No Mercy. Pena withstood an opening blitzkrieg from Evan Elder settled and dominated the young, crackerjack, getting a third-round finish with a rear naked choke. That win gave Pena the Shamrock FC lightweight belt to go alongside his Fight Hard lightweight title and the Golden Gloves championship all four months into the year. In September Pena made his pro debut back at the Family Arena for Fight Hard MMA. Across from him was a former foe, Chris Petty, who handed Pena a rare defeat in December of 2015. Pena exacted revenge with a KO of the Year nominating performance when he first popped Petty with a jab and then landed a scintillating straight left hand for the knockout with 36.6 left in the first round. After winning the blue belt open division at an AGF tournament in November, he was back fighting for Shamrock FC at December's high-profile Shamrock FC 279 where he came away with one of the top performances of the night and cemented the fact that he has the most complete MMA game around. Pena submitted a tough and gnarly Brandon Schehl in the second round via rear naked choke. He stymied Schehl early on, his length and flexibility slowed Schehl's wrestling and Pena was able to bust Schehl up with elbows. Calm and confident throughout on his feet, Pena was looking to set up a big finish. In the second he slithered to the back again and put in a deep rear naked choke for the win at 3:40 in the second round. Not surprising, Pena is right back at it. This weekend, in fact. He makes his K1 pro debut at the 10,000 seat Chaifetz Arena for Gateway FS: New Years Resolution 2.